I shared this recipe a few months ago but enjoyed these truffles so much (straight from the freezer I might add) that I wanted to share it again! Check out the recipe on Fox if you are as addicted to Speculoos/Cookie Butter/Biscoff Spread as I am. I remember these from the other time around because I love making nobake cookie butter cookies…well, I just love cookie butter! I still have some TJ’s cookie butter and these are perfect to use up the last of it. I love truffles! Wow, I didn’t know you had recipes featured on Fox News! What a great opportunity, congratulations! Going to check out your recipe for these now… They look irresistible! Trader Joe’s is on my list of places to go this weekend. Seriously…I still haven’t tried this cookie butter! And now you’ve plunged me straight back into cookie butter cravings. Oy. oh wow! I could DEFINITELY see myself grabbing a few of these from the freezer after dinner! These cookie butter trufles have me drooling in front of my screen! They have all the right ingredients to be a big hit in my house! 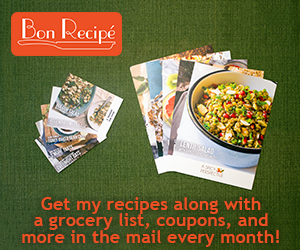 You have a beautiful collection of recipes in your blog!